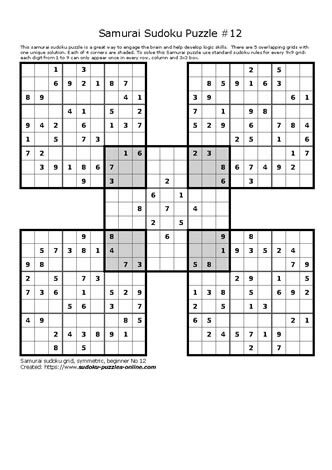 Samurai Sudoku puzzles have one unique solution which is determined by using logic and basic Sudoku rules. 3. Each digit can only occur once in each 3x3 grid. Engage the brain and download, print and solve this puzzle today!